Is the Bible a reliable historical document? This is a huge topic—too ambitious for a blog post—but here’s an attempt to whet your curiosity to dig a little deeper. Sometimes it takes quite a bit of investigation, discovery, and thinking to connect the dots. (For example, Rick Larson’s work on the Star of Bethlehem.) But there are examples that are right in our faces. Consider the Arch of Titus in Rome. Titus was the Roman commander in charge of the Siege of Jerusalem in 70 A.D., which destroyed Herod’s Temple. The Roman army carried off the Temple treasures, including the Menorah, Table of the Showbread, and Temple Trumpets. 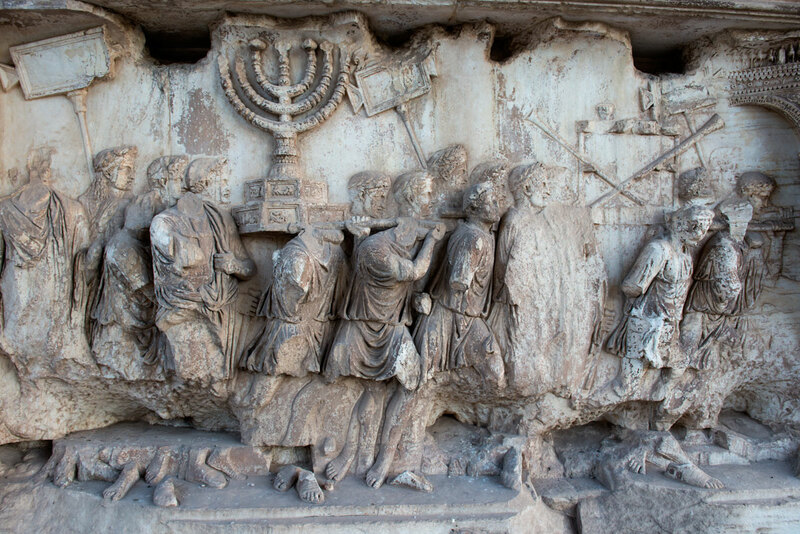 Recent research into the bas relief on the Arch of Titus has discovered that the Menorah in this frieze was originally painted gold. Here is an extra-biblical source showing the Menorah from the Hebrew Temple, carried off in the spoils of war, and sculpted into a Roman monument by the Roman people. And it is identical to the lampstand prescribed by God to Moses in Exodus 25. And it was described in detail by (non-Christian) first-century historian Flavius Josephus, and later rabbinical sources. If you put that all together, we have extra-biblical evidence for the elements in the Holy of Holies, confirmation of a match between Scripture and what was found in the Temple, confirmation of the elements used in service by Hebrew priests, and a very big problem for those who deny that the Temple was ever on Mount Moriah. 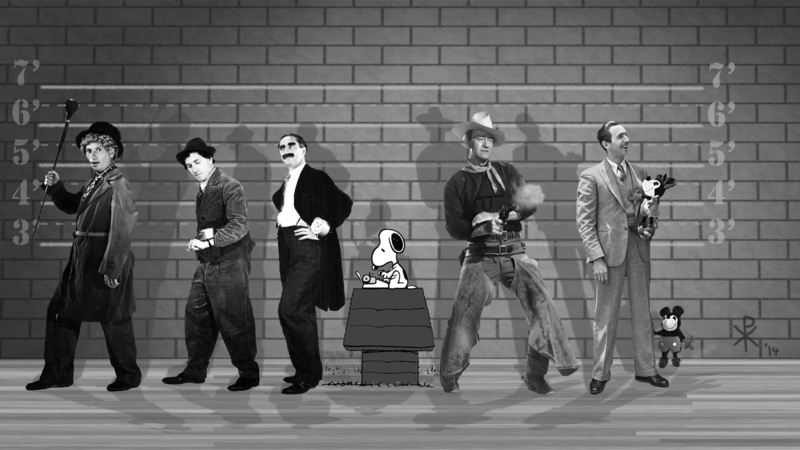 It’s as close as we can get to an ancient photograph. This particular sculpture was used to create an official seal for the modern State of Israel featuring the Menorah. So there’s one small example of the historicity of the Bible. Paper deteriorates over time due to chemical reactions with the atmosphere. This is particularly true of ancient papyrus, parchment and vellum, although there are tens of thousands of surviving specimens. When it comes to the Bible, there are far more documented copies than for any other ancient text. 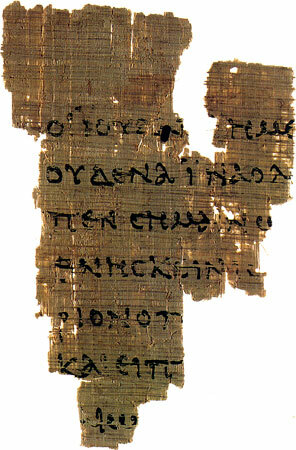 But the fact remains we do not have the original Biblical manuscripts—we only have copies. Was what was written down true? Eventually Josh McDowell said, “I came to the conclusion that I can hold the Bible in my hand and say it is the word of God, it is true, and it is accurate historically.” His research is documented in a foundational work entitled New Evidence That Demands a Verdict. “Textual criticism” is the discipline that attempts to determine the original wording of any document whose original no longer exists. Never heard of textual criticism? Sounds pretty boring doesn’t it? Turns out it is a big deal. A very big deal. But a main contention of this blog is that the Bible can stand up to scrutiny, so bring it on. In attempting to produce the most accurate text, the translating committees and publishers took the most reliable ancient (mostly Greek) texts to translate from among many copies, which did not settle the matter of the definitive text in these two instances. But these are minor problems, and they don’t negate the original message of the entirety of Scripture. You can argue that these passages should be cut from the Bible, but nothing would be changed or lost by such deletions. But before taking liberties with scissors, meet Dr. Daniel B. Wallace and the Center for the Study of New Testament Manuscripts. Dr. Wallace and his colleagues have spent decades studying ancient manuscripts. They have developed intricate systems for comparing texts, and have some interesting conclusions about the accuracy of the Bibles we possess in the 21st century. You might be very surprised at their take on textual criticism, and its value in defending the veracity of Scripture. The Day of Discovery folks recently produced a three-part documentary on their work. With that bit of introduction, read about Dr. Wallace’s exciting discoveries and all the press his work is generating. He has a lot to say about the accuracy of the Bible. He can quantify the textual variants, and you might be surprised to see how insignificant most of them are. And how they resolve discrepancies between manuscripts. Fortunately there’s a lot of evidence to work with in the thousands of manuscripts that are now catalogued. You might also be interested to discover how the correct text can be determined from the volume of copies. Don’t miss the radio interview in which he describes what is going on with the new discoveries and why he can’t rush to publish. It’s important to get it right. And that’s the point of this post. Here’s one of the best resources I’ve found for studying the Apostle Paul. 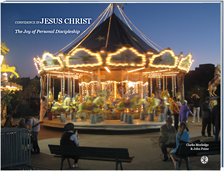 Dale Bargmann created a photo tour that traces Paul’s missionary journeys, with lots of sidebars and original material (Dale is a gifted photographer and has spent quite a bit of time photographing these locations and putting this material together). To follow in an orderly (Kaqexeß) fashion, read down the left pane, and click the link at the bottom of each page. Alternatively, use the navigation on the right to jump around. You will find an amazing number of insightful comments while developing an appreciation for Paul and his ministry by ‘touring’ though this site.